No love for Samsung!? ?” It’s come to our attention that Samsung fans have been relegated to the sidelines when it comes to the breadth and depth of mobile accessory options available for their favourite devices. OtterBox is saying goodbye to saying #Sorry and replacing it with #MoreGalaxyLove. OtterBox, the No. 1- selling smartphone case, announces a full lineup of cases for Galaxy S9 and Galaxy S9+, available now. OtterBox proudly offers its full lineup for Galaxy S9 and Galaxy S9+ with Pursuit Series, Symmetry Series, Defender Series, Commuter Series and Strada Series Folio cases as well as Alpha Glass screen guards.2 OtterBox is showing the love by offering a wider range of colors and graphics than ever before. Give Galaxy more grit. Cover Galaxy S9 and Galaxy S9+ with Pursuit Series, the thinnest, toughest OtterBox case. Available for the first time on a Galaxy device, the two-piece case snaps around the device to block out drops, dings, dust and grime. The case features audio scoops for amplified sound and comes with a lanyard for added security while carrying. For more Galaxy pop, Symmetry Series comes in a variety of colors, graphic or clear styles. Symmetry Series is easy to slip on and off the device and in and out of pockets with a slim, single-piece form. 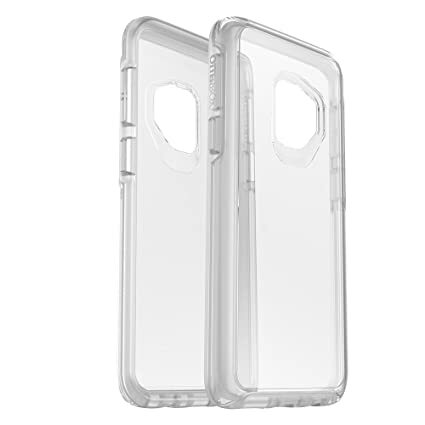 The stylish case keeps Galaxy devices safe from bumps, drops, scratches and dings. The classically rugged Defender Series guards Galaxy S9 and Galaxy S9+ from scrapes, drops and dings. The tough case is designed with an open screen to suit the curved display and is fully compatible with Alpha Glass. Defender Series boasts a shell with a rigid exterior and flexible interior for drop protection, and a tough, textured outer layer provides additional shock protection and blocks out dust, dirt and grime. The slim Commuter Series keeps Galaxy S9 and Galaxy S9+ covered with two layers of slim protection. The thin case slips easily in and out of pockets for on-the-go use, helps guard against bumps with a tough exterior shell and blocks out grime with the shock-absorbing slipcover’s port protection. Cover Galaxy S9 and Galaxy S9+ in 360-degrees of crafted protection with Strada Series Folio. This slim protective case guards the brilliant display with a genuine leather folio that protects the touchscreen from harm. The elegant design covers the device in classic, sophisticated style with a discrete wallet slot for cards or cash. Protect Galaxy S9 and Galaxy S9+’s expansive displays from harm with Alpha Glass screen protection. The fortified, anti-shatter glass defends the display while reactive technology retains touchscreen sensitivity and are compatible with all OtterBox cases for Galaxy S9 and Galaxy S9+.